The Valkyria Chronicles series was a unique twist on the strategy RPG when it was first released on the Playstation 3, with its two subsequent sequels releasing on the Playstation Portable, of which the third game never saw a Western release. With the series seemingly dead, a new game, Valkyria Azure Revolution, or as it will be known in the West, Valkyria Revolution, was announced out of nowhere. Unlike the Chronicles titles, while with a similar style set up with player and enemy armies on the field at the same time, the focus is more action RPG oriented in approach. Another interesting twist was that, rather than bring by Hitoshi Sakimoto to do the work, Yasunori Mitsuda was chosen to do the project. In his first solo game score since Inazuma Eleven 2, Mitsuda brings his emotional and colorful touches to a largely militaristic series in nature, while still retaining a sound that I could easily associate with the Valkyria universe as a whole. 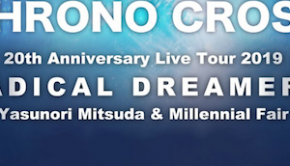 In addition to his composing, arranging, and orchestrating, he is also joined by Procyon Studio’s in-house orchestrator, Mariam Abounnasr, and orchestrator Sachiko Miyano, as well as vocalist Sarah Àlainn, with whom he has worked with in a variety of projects ever since her game debut with the ending theme to Xenoblade. Performed by the Tokyo Symphony Orchestra, how does Mitsuda’s effort fare? 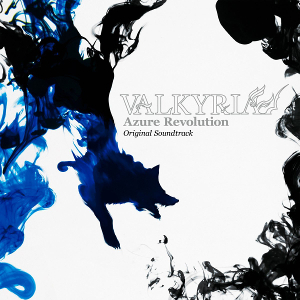 The album opens with “Azure Revolution,” the main theme of the game, and does a good job of setting the tone for the entire album. The melody itself is heroic and uplifting, featuring a brass lead over beautiful strings accompaniment and militaristic percussion. Halfway through, it shifts towards a softer sound with vocals by Sarah Àlainn, which also feature on a few other tunes on the album. While it may not be as intricate or complex as the main theme penned by Hitoshi Sakimoto for Valkyria Chronicles, it does manage to convey a very strong melody that is used throughout the soundtrack, including the “Mission Succeeded” and “Mission Failed” tunes that provide jubilant and melancholy renditions, respectively. 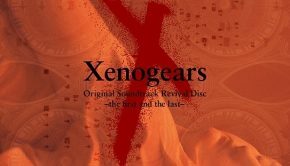 In terms of more substantial tunes that include the main theme, “Anti Valkyria Headquarters” opens with the main theme motif before moving into a more militaristic focus that, at times, is reminiscent of Xenogears, and while it may not stand out overall, it certainly manages to provide an enjoyable listen thanks to its strong melody. Two examples, as well as some of my favorite tunes on the album, that utilize the main theme very well are “Vanargand” and “Pledged Revenge.” The former shines due to its adventurous tone and excellent choice by “orchestrator” to use a horn as a solo instrument to convey the melody for the first half of the tune while the latter half layers strings and brass to create a moving tune with softer moments. The latter has a very nostalgic air, of classic Mitsuda tendencies and even melodic motifs, to it, using softer strings, sweeping brass, and woodwinds to create a very determined sound. This softness is present in many other tunes, even in some battle themes, and certainly plays towards the strength of the soundtrack. While some tunes, like “Romance of Two,” with its jazzy piano tones falls a bit short, sounding a bit more playful than romantic, others like “Richer,” with its beautiful and haunting woodwind passages coupled with delicate strings and piano make for an extremely hypnotizing listen. 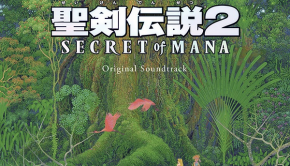 Speaking of playful, “Cozy Time,” opening with a nostalgic melody that comes from Chrono Cross, moves into a more playful brass and woodwind driven tune that manages to impress with its strong melody “Drifting to Tender Moments” is classic Mitsuda doing poignant music with its beautiful melody carried by soft strings, a violin lead, harp, and woodwinds. Most of these instruments appear again in “To the End of Deep Sorrow,” providing a more melancholic listen. In addition to the softer sounds present on the album, there are also some darker moments, however, these tend to suffer a bit compared to the stronger moments on the soundtrack. “Attack” is a short tune that creates tension with its strong percussive focus, but does little to actually engage melodically. For the other tunes, while they do feature a fairly memorable melody, themes like “Threat of the Ruzhien Empire” and “The Four Generals” come off sounding a bit more clichéd in terms of progression with their brass dominated melodies supported by sinister strings. They aren’t bad tunes, per se, but certainly some of the weaker moments on the soundtrack. Two related themes, “Requiem in the Dark Night ~Presage and Death~ and “Immortal Valkyria ~Death Testament,” provide counter to one another with the former being a more haunting tune with chilling vocals and a mysterious woodwind driven melody while the latter incorporating the melody of said vocals in a brass dominated tune to create tension and despair. While the latter is a bit more generic, it does feature a strong melody on the whole. Given the two major factions in the game are the Jutland Kingdom and the Ruzhien Empire, each gets its own “War of Liberation” theme. “War of Liberation ~Jutland Kingdom~,” has a very regal air to it, with its brass lead, in some ways conjuring up the atmosphere of Armodyne, but in a delicate way, while incorporating subtle choral tones and soft strings to create an enticing listen with an engaging melody. On the other hand, “War of Liberation ~The Ruzhien Empire~” takes a darker approach with a strong brass melody focus, ominous strings work, a flurry of woodwinds, martial percussion, and punctuated brass notes. However, there is still an underlying delicacy to some of the melodic passages, mainly those where strings dominate the scene. There are also various town related themes present on the album. “Jutland Kingdom” carries with it the same regality of its “War of Liberation” counterpart, with a beautiful melody accentuated as it progresses by sections dedicated individually to brass, strings, and woodwinds. It’s one of my favorite melodies on the soundtrack. “Imperial City Elsinore” is a vibrant and upbeat theme, although with some more subdued moments, with a wonderful melody mainly brass and strings, with some beautiful countermelody via horn. It’s a very spirited tune that really shines. Similarly jovial is “Sabanci & Company” that focuses on brass and woodwinds to create a melody that is quite memorable. “Enlivened City” has a very celebratory sound captured via brass and woodwind that also incorporates the melody of “Imperial City Elsinore.” The melody of “Imperial City Elsinore” appears in the darker, almost mournful “Crisis of the Imperial City,” one of the stronger darker tunes on the album. Being a game about war, there are also some battle themes worth mentioning. “Young Soldiers Charging towards Victory” is one of my favorite tunes on the entire album. It’s a really intriguing tune that opens up with a beautiful brass and woodwind melody that progresses into a more typical militaristic sound with heavy percussion and a more determined sound overall while at the same time utilizing subtle choral tones to create some mystery in the atmosphere. “Bruising Mission” also takes a somewhat softer approach, utilizing woodwinds, strings, choir, and percussion to create an ethereal, somewhat exotic, soundscape that helps lift up the excellent melody. “Battle with Maxim” offers a dark and ominous soundscape heavily supported by brass. However, the softer choral and strings melody, really helps contrast nicely with the militaristic sound heard in the accompaniment that makes for one of my favorite battle themes. Lastly, “War in the Name of ‘Liberation’” is a dramatic theme with a stunning soundscape full of soft choral tones, tense woodwind and brass passages, mesmeric strings and excellent brass harmonies, and an extremely powerful melody. It is certainly a highlight of the album. When it comes to the vocal themes, for the most part, they leave a bit to be desired, not due to melody, but rather execution. Themes sung by Sarah Àlainn include “Lacrimosa ~ Tears to Dust,” “Feel My Wrath,” and “Eternal Rest” and all opt for a mostly a capella approach. Due to this choice, the tunes themselves garner an ethereal, almost otherworldly sound at times. However, due to the lack of instrumentation, flaws in the vocals are more pronounced. For example, in “Lacrimosa ~ Tears to Dust” and “Eternal Rest,” when the notes become a bit higher in register making those sections particularly cumbersome to listen to. “Feel My Wrath” doesn’t suffer as much from these problems, opting to stay at a lower register overall, but still leaves a bit to be desired on the performance front when it does take a higher register. This tune also serves as a basis for another tune, “VALKYRIA ~The Power of Destruction~,” presumably a battle theme, where the inclusion of additional instrumentation (strings, brass, and percussion), help reign in the original performance and in the end, create an invigorating theme, although those who didn’t enjoy “Feel My Wrath” may be unswayed by the inclusion of additional instrumentation. “These Gentle Fields,” serves as the national anthem to the Jutland Kingdom and is sung by character voice actress for Ophelia, Saori Hiyami, alongside citizens of Jutland Kingdom. This tune takes a more anthemic approach, utilizing softer woodwinds, brass, and strings to create a very powerful and prideful melody. Of the vocal themes on the album, this one is certainly the most enjoyable and definitely carries with it strong emotions. While certainly not without its flaws, the VALKYRIA: Azure Revolution Original Soundtrack is certainly one that I feel that fans of Yasunori Mitsuda will enjoy. There are nostalgic touches throughout the soundtrack and the softer approach to a largely militaristic game about war really help bring character to much of the music. While the vocal themes and some of the darker tunes on the soundtrack leave a bit to be desired, they are overshadowed by the softer and bright moments that really bring the soundtrack to life. 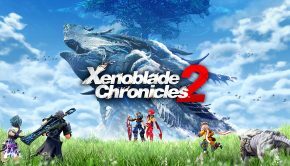 For Mitsuda’s first full length game score in quite some time, there was certainly a lot of energy and emotion put behind this soundtrack and it would be great to see him utilize this same energy for his contributions to the recently announced Xenoblade Chronicles 2. Posted on January 16, 2017 by Don Kotowski. Last modified on January 21, 2017.